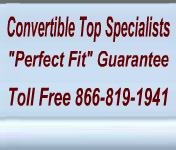 Chevrolet Suburban upholstery replacements for your truck will give your vehicle interior a new and fresh update. Each of our Chevrolet Suburban upholstery sets is manufactured to original pattern specifications and we offer a choice of fabric colors. Our Chevrolet Suburban upholstery will instantly renew your vehicle to show room condition.